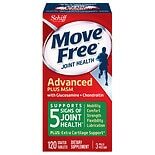 Increasing joint pain and stiffness are very common symptoms to develop as you get older. While certain medical treatments are available to help lessen these common sources of discomfort, many people are interested in the potential benefits of taking nutritional supplements rather than resorting to more extreme measures. 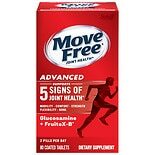 Since glucosamine plays a major role in joint health when it is produced naturally in the body, nutritional supplements containing this unique substance are among the most widely used components of alternative medicine across the country. 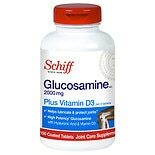 You can find a broad assortment of Schiff glucosamine supplements here at Walgreens. Ask your doctor which supplements are right for you. 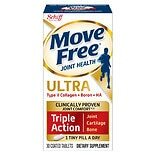 Glucosamine is a natural substance in your body that is used to build cartilage. Cartilage is flexible tissue that acts as a cushion between the bones in a joint. 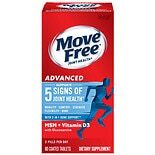 Many people--especially those with joint pain and stiffness from osteoarthritis--choose to take glucosamine supplements in the hopes that they might help ease uncomfortable symptoms. Like other dietary supplements, glucosamine is not evaluated or endorsed by the FDA to help diagnose or treat any diseases, but it is very popular in alternative medicine. 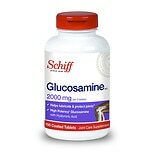 Several Schiff products feature glucosamine as one of the key ingredients in cocktails of nutrients that may help promote healthy joints. You should always talk to your doctor before taking any supplement.